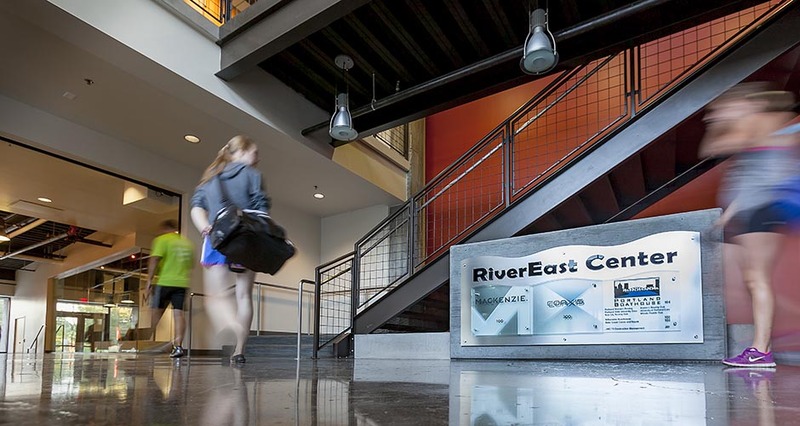 Mackenzie provided full A/E services, including tenant improvements, for the transformation of a blighted 1951 warehouse in Portland’s Central Eastside district into the LEED Gold-certified RiverEast Center. 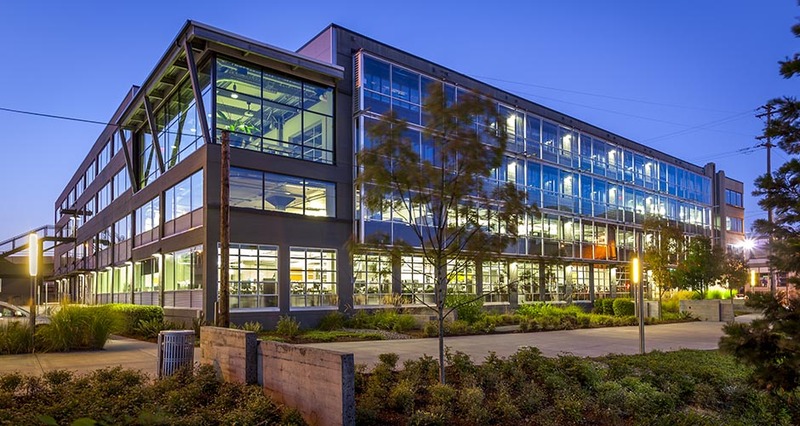 Designers’ goals were to create a high performing office development that retained the industrial nature of the existing structure; seamless integration into the surrounding industrial area; and maximized energy efficiency, minimized waste, and increased environmental quality. 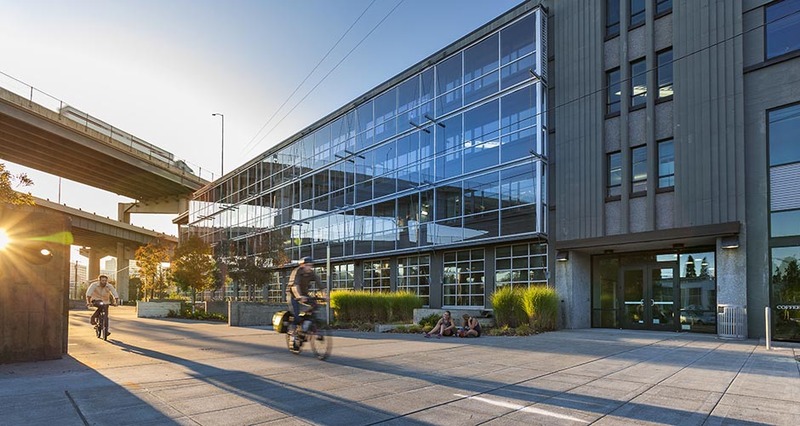 As part of the award-winning redevelopment, Mackenzie provided site and plaza design, which included an expansion to provide 150 parking spaces, a pedestrian plaza connection to the Eastbank Esplanade, and public green street frontage. The project presented numerous challenges, including traffic noise from two adjacent bridges, a possible future freeway expansion restricting the design of the building’s southwest corner, poor seismic conditions, a significantly sloped floor, and classification as a brownfield site because of asbestos in the building. Project architects and engineers successfully overcame the existing conditions. They designed the southwest corner of the building for future removal, added acoustical glazing to drown out noise from the highway, and hired a subconsultant to safely remove asbestos. Additionally, structural engineers made updates to the building utilizing FEMA 356 (now ASCE 41) standards, approved through the City of Portland’s Structural Appeal Board, to meet current seismic codes. The upgrade utilized special concentric steel braces and concrete shear walls to provide additional seismic capacity.